Transmitted 30 watt illumination. 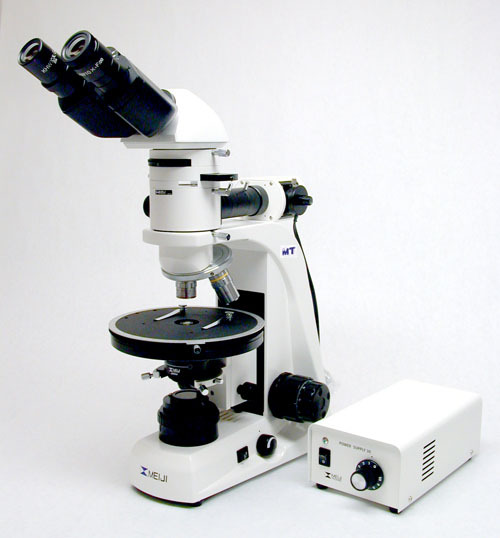 Designed for slide mounted specimens or thin sections of minerals and rocks, suspended particles or crystals, chemicals, organics or in-organics. 30 watt incident and 30 watt transmitted illumination. Designed for slide mounted specimens or thin sections as well as opaque objects and substrates with polarized illumination through the objectives. Transmitted 50 watt illumination with Senarmont compensator. Extra high powered illumination with the ability to dial-in retardation levels in the FOV. New design with transmitted 30 watt illumination. All MT Series models offer a Senarmont compensator as an optional accessory. 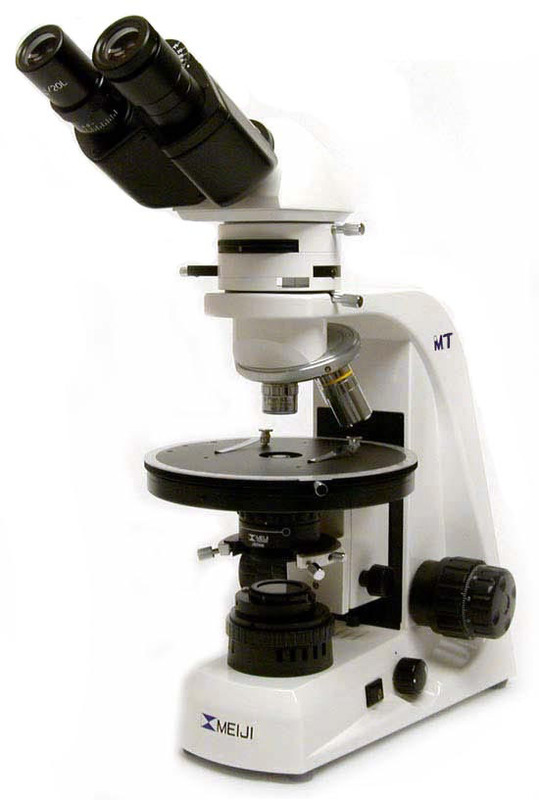 Senarmont compensators are used to change the retardation level in the field of view while observing specimens like crystals, living organisms, etc. The new MT design with 30 watt incident and 30 watt transmitted illumination. All MT Series models offer a Senarmont compensator as an optional accessory. Copyright ©	Meiji Techno America - All Rights Reserved.